Armchair Book Expo Headquarters: Girlxoxo.com Is Headed to BEA! Girlxoxo.com Is Headed to BEA! Remember the fabulous giveaway we hosted earlier this week thanks to the wonderful people at Book Expo America and the BEA Bloggers Conference? Well, we are so very excited to be able to announce the first of two winners! Our first winner is Tanya from Girlxoxo.com! Girlxoxo.com features book discussions & lists by Tanya Patrice - 30 something // avid reader // runner // hiker // road bike warrior // duathlon loving // wife // step-mom of 2 wonderful boys (12 & 8) // teacher of food science & chemistry // alumni of Auburn University (PhD), Clemson University (MS) and University of the West Indies (BS) // upstate NY dweller but firmly rooted in the Caribbean sand & sea (from the island of Jamaica). We are so thrilled to see Tanya off to the BEA Bloggers Conference as well as Book Expo America and know that she is not only excited but frantically trying to pin down which authors she absolutely must see next week! We can't wait to hear all about her week in the Big Apple! 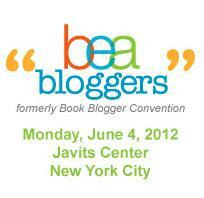 Thank you again to the fantastic people at Book Expo America and the BEA Bloggers Conference! Look for another post later today with the second winner! Also, if you weren't one of the lucky winners don't despair! We've got more exclusive surprises coming your way very soon and you absolutely don't want to miss them! Congrats Tanya & have fun! Tanya, how nice!! Congratulations. I hope you have a great time. Thanks everyone. I'm so excited!!! Yay!!!! Congrats to Tanya Patrice! Break Out Your PJ's! We've Got Exciting News! Twitter Parties Coming Your Way! 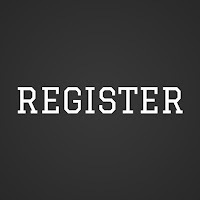 2012 Participant Registration Now Open!! !